The centre-point of the London 2012 Games, the £537 million Olympic Stadium, becomes a new permanent sports venue after the Games. Changes include reducing the seating capacity from 80,000 to 60,000 by removing the top layer of the stadium, a temporary lightweight steel and concrete upper tier. The stadium, which hosted all Olympic athletic events as well as the opening and closing ceremonies, is the most sustainable major sports arena ever built. 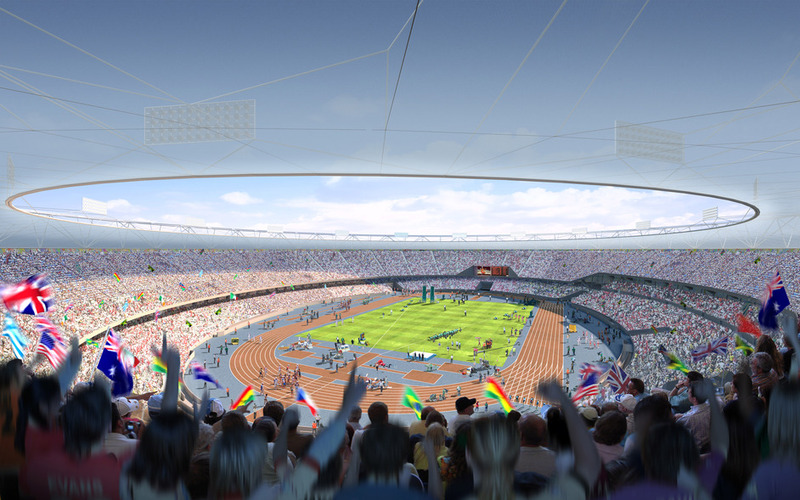 Made from a quarter of the steel used in its equivalent for Beijing 2008, the Olympic Stadium also features low-carbon concrete made from industrial waste, while the top ring was built using surplus gas pipes. In short, although perhaps not as visually appealing as the Beijing "Bird's Nest", the whole vast structure is a lesson in sustainability and environmental awareness. Facilities inside the stadium include 700 rooms (medical support facilities, changing rooms and toilets) and an 80m warm-up track. The Olympic Stadium becomes home to West Ham United football club in 2016 and is open to the public before then through a series of high profile sports fixtures including the Rugby World Cup in 2015 and the IAAF World Athletics Championships in 2017. What are the best dining options near Olympic Stadium London? Olympic Stadium gyms, sporting activities, health & beauty and fitness. The best pubs near London Olympic Stadium. Olympic Stadium clubs, bars, cabaret nights, casinos and interesting nightlife. Where to have your meeting, conference, exhibition, private dining or training course near Olympic Stadium. From cheap budget accommodation to luxury 5 star suites see our discounts for Olympic Stadium hotels, including Holiday Inn Express London-Stratford from 90% off.